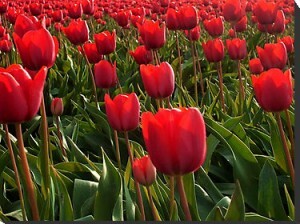 The reason why tulip growers keep dividing the tulip bulbs is to assure that they remain healthy and bloom many times. Let’s first understand what dividing the tulip bulbs really mean. Actually the process is explained with the name, because it means to divide the tulip bulbs and have them planted somewhere else. 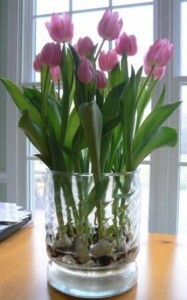 As you keep dividing the tulips they tend to grow healthier and more beautiful as the seasons pass. Some factors such as the climate or the soil can cause the tulips to become weak and to be unable to grow at the maximum beauty. 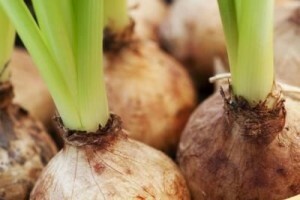 Once you replant the bulbs you give the plant another life and another life cycle to grow with. One problem that flower growers have is that they don’t really know the best period for dividing the bulbs. They just know how to do it. Once the tulip has blossomed in the season, you can admire its beauty all day, but as it starts to get deteriorated and leaves start to dry out you can start beginning the dividing process. Regarding seasons, the best period is around the middle of summer. But always leave the plant to blossom for the season or else you will ruin it. Now let’s understand how this procedure is performed. First of all you have to choose the location for the new bulbs to be planted. You have to pick a similar location to the one the plant grew in the previous season. Now you have to pick up the bulbs from the ground by digging around the blossomed tulip and carefully taking them. In the next step you can clean the bulbs a little and place them in a cotton towel until further use. Next you will need to prepare the area where you want to place the bulbs. This means you have to dig the area, but you have to dig only as deep as the previous bulb was planted. In the end you can place the bulbs gently inside the soil. Cover them with mud and if you want add some organic compounds that can help with the growing.